The first two Los Campesinos! albums — Hold On Now, Youngster… and We Are Beautiful, We Are Doomed — came out ten years ago, and the band are celebrating the anniversaries with a North American tour this November. Support varies by date and comes from two newer, smaller bands (who are both signed to Tiny Engines): Illuminati Hotties and Adult Mom. The run with Adult Mom includes two Brooklyn shows: Elsewhere on November 13 & 14. Tickets for those shows go on sale Friday (7/13) at 10 AM. All dates are listed below. Also stream Hold On Now, Youngster… and We Are Beautiful, We Are Doomed and watch a video from the era, along with some Illuminati Hotties and Adult Mom music, below. 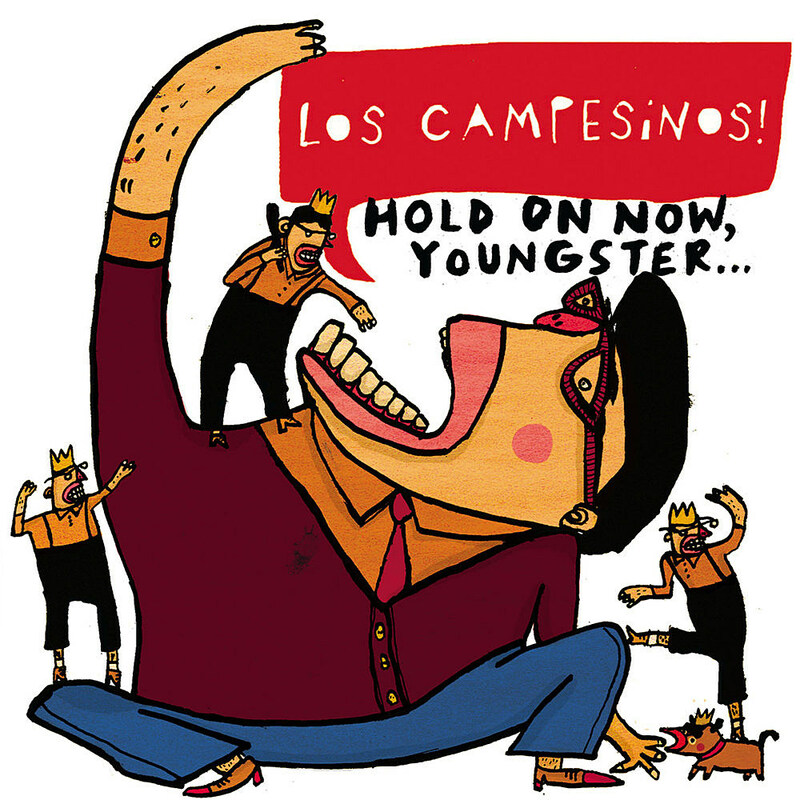 Hold On Now, Youngster… by Los Campesinos! 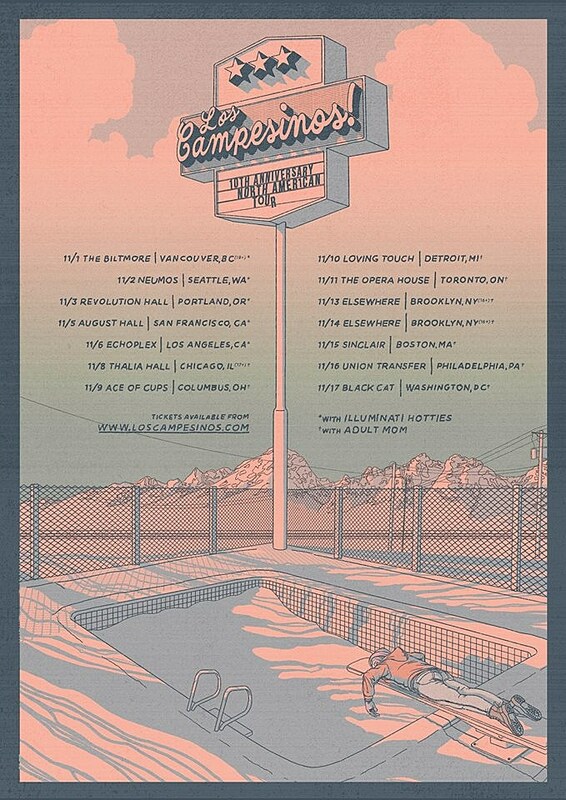 We Are Beautiful, We Are Doomed by Los Campesinos!